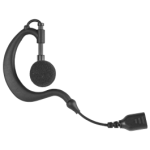 For Part 3 of our two-way radio surveillance kit discussion, we will now turn our attention to the different “over the ear” options available for all 1,2, and 3 wire surveillance kits. These over the ear options are available when the clear tube (secret service) ear piece is not needed or when the ear piece will be used by multiple users since they are easy to clean. 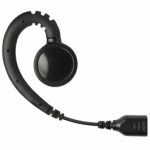 The styles pictured below offer the user the best over the ear option available for their job requirement and comfort level. 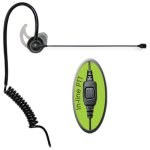 For those users sharing the same kit, a quick disconnect option is available allowing users to choose their preferred type of ear piece. All styles perform reasonably well in normal to medium noise environments such as restaurants, malls, and retail stores. 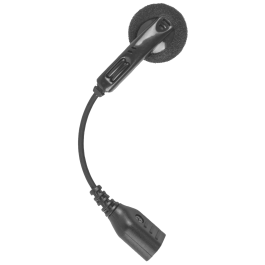 Some like the D Ring Large, the D Ring Adjustable, and the Boom Microphone could also be used in manufacturing facilities that have medium to high levels of noise. 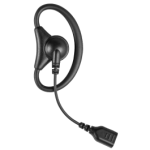 The design of the ear piece surrounding the ear maintains the speaker as close to the ear opening as possible. 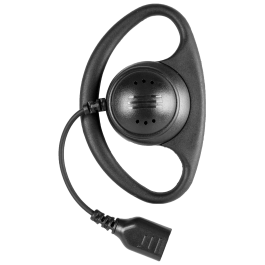 One could make the case for the Ear Hook, but its design allows noise to enter from the front part of the ear. 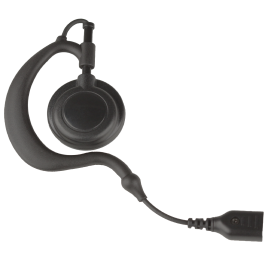 The Ear Hook does not fully cover the ear opening and the small speaker designed for multiple ear sizes is too small. As with most things, the cost of the ear option is directly related to the design, comfort, and speaker size. 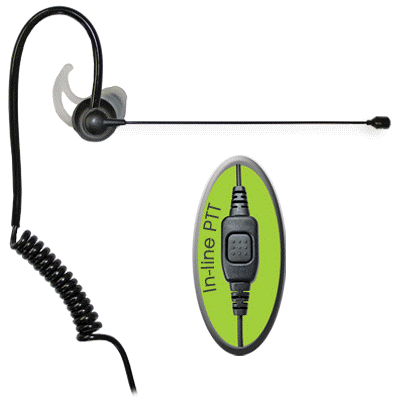 The ear bud’s simple design is the least expensive while the ear piece with built in Boom Microphone will be the most expensive. 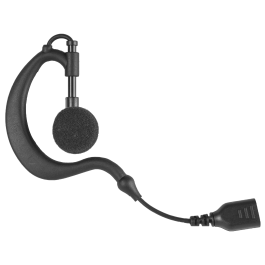 Let the experts at Metrotalk help when selecting an “over the ear” ear piece option for your two-way radio surveillance kits. Have questions? Just ask. Call us at 1-800-268-4098 or contact us now!